In The Spotlight, Inc.: Blast! Winner of the 2001 Tony Award for Best Special Theatrical Event and the Emmies for Best Choreography, "BLAST!” will rock Symphony Hall. 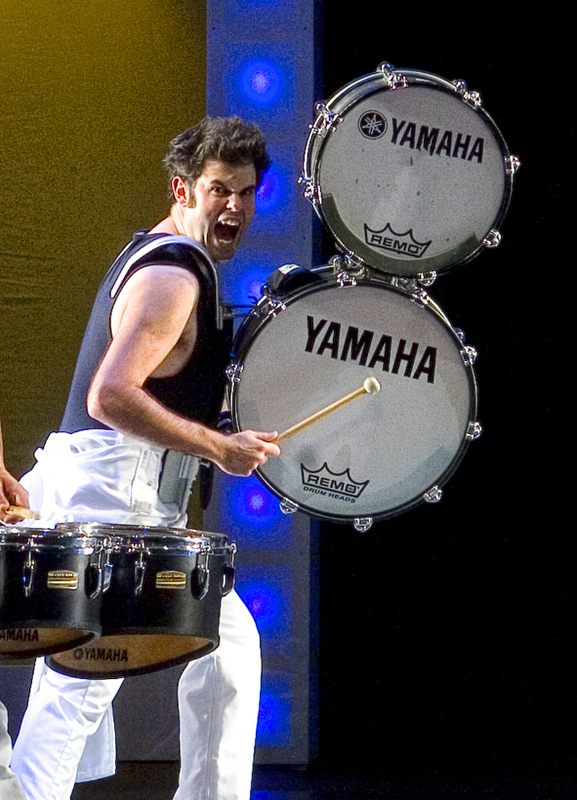 Born on athletic fields across the nation, steeped in the tradition of the military drill teams, precision drum corps and color guards, this thrilling production promises to be bold and lively with athleticism, musical talent and kaleidoscopic movement which are merged into an art form. In The Spotlight interviewed percussionist Andrew Barlow. ITS: Hi Andrew. We are very excited about "BLAST!” making a stop in Springfield. Can you tell us who influenced you to get into this performance style? Barlow: My elementary teacher from North Carolina influenced my decision to get into music and percussion. Later, when I was at UMass, Dr. Brian Tinkle urged me to go further with it as did Tom Hamel. ITS: When did you start this challenge? Barlow: Well, when I was around 7-8, I was tutored on piano, and around age 10 the world of percussion opened up to me. ITS: When did you get involved with “BLAST!”? Barlow: This is my first tour, but it all began in the 90's. ITS: What can we expect from the cast of “BLAST!”? Barlow: Well, it's a mix of music, theatre and dance. The co-ed cast is split evenly between the musical ensemble of percussion and brass and the visual ensemble of sabers, rifles and flag waving. The dancers add an angelic quality. It's amazing. ITS: Is there a notable highpoint in the performance? ITS: How many people make up the cast? Barlow: The entire ensemble numbers 40 with 5 swings of which I am one. I perform percussion and double as a swing captain with other duties in the performance. ITS: Thanks and good luck! We'll be looking for you.